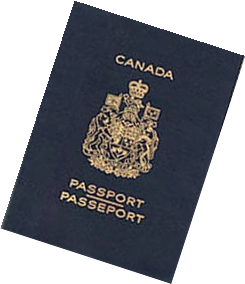 A person who is subject to a stay of proceedings will generally be unsuccessful in applying for Canadian citizenship. On June 10, the Conservative government introduced Bill C-37, also known as the Strengthening the Value of Canadian Citizenship Act (“Bill C-37“). 21.1 (1) Every person commits an offense who knowingly represents or advises a person for consideration — or offers to do so — in connection with a proceeding or application under this Act. The offense will be a hybrid offense. If the Crown elects to proceed by way of indictment, the maximum penalty would be a fine of $50,000 and/or two years imprisonment. There will be exceptions for lawyers, members of a designated body, and other exceptions similar to those for immigration consultants. In fact, the language in Bill C-37 regarding the regulation of citizenship consultants largely mirrors that in Bill C-35, the Cracking Down on Crooked Consultants Act. The Citizenship Act makes it an offense to make a false representation, commit fraud, knowingly conceal or misrepresent information, obtain or use a certificate of naturalization/renunciation of another person, knowingly permit another to use that person’s certificate, or traffic certificates. The penalty for doing so is currently a maximum fine of $1,000 and/or imprisonment to a term of one year.